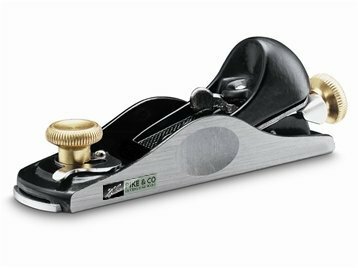 This 60 1/2 block plane features a low angle cutter seat at 13.5° and is fully adjustable for depth-of-cut, cutter alignment and size of mouth. The body is made from a fine grey iron. Particularly effective on end grain and plastic laminates. Supplied with a pouch for convenient storage. © 2019 Planers. All Rights Reserved.